All Grade 6 students that have borrowed instruments and will not be continuing instrumental music next year need to return the instruments to the music room at their home school. The instruments must be cleaned and in the state they were given by Monday June 25th. Please attach your name on a piece of paper in/on the case to give us a quicker route to knowing who has returned their instruments. Hope you made the most of the great weather today and enjoyed the weekend. Huge congratulations to Kenton and Kira Simonson who took part in the first ever Saskatoon Youth Honour Brass this past weekend. They joined students from 15 different schools in and around Saskatoon. A reminder to any grade 6 interested in coming to the Division Open Rehearsal this coming Wednesday. Please confirm attendance tommorow to your school Admin assistant so we can judge numbers for Bowling and Pizza. The bus permission form has to be handed in by Wednesday to attend but confirmation MUST be made tomorrow if you wish to come. 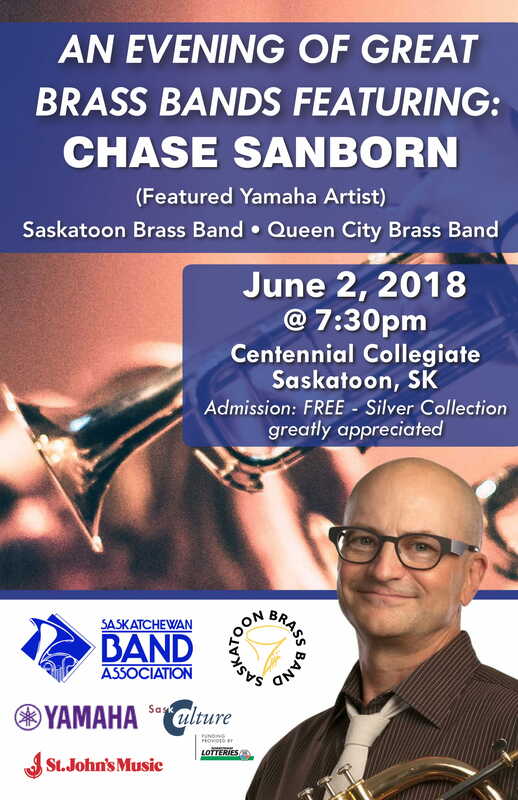 For Seniors needing a concert to review for their coursework, younger students to be inspired or just a great show to come watch, come support our 6 fantastic Prairie Spirit School Division Students taking part in a HUGE concert at Centennial Collegiate. 6 students from Prairie Spirit East and West are taking part in the first every Saskatoon Youth Honour Brass featuring Highschool students from 15 different schools! See below poster! Have a fantastic weekend wherever you are!